For the fourth consecutive year since taking office Dr Rowley will be a no show at this year’s UN General Assembly which opens next week at the UN Headquarters in New York and will be attended by over 150 world leaders. “Is it that Dr. Rowley is too scared to engage his peers in meaningful and mutually respectful dialogue and can only function when he is the boss? Or is it that he has adopted an increasingly isolationist foreign policy given his non-attendance at Wednesday’s signing of a MOU on energy cooperation in Guyana?” asks MP Charles. 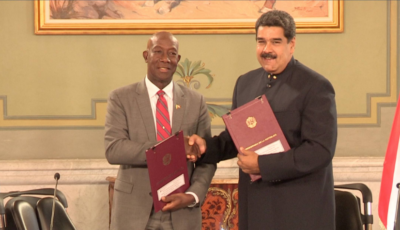 By contrast, Dr Rowley appears to be most comfortable with his friend President Maduro unmindful of the likely consequences for our relations with our main trading partners the US and the EU. It is most apparent under this PM and the clueless Dennis Moses that our country’s foreign policy and profile have taken a steep nosedive and Trinidad and Tobago is no longer respected globally and more so within Latin America and even CARICOM. Clueless Moses will, on Saturday 29th September 2018 in the closing stages of the Assembly, address mostly empty seats at the UNGA after most world leaders would have left New York and long after CARICOM Heads would have addressed the assembly. No one will be listening. St Kitts and Nevis, Jamaica, St Lucia, the Bahamas, St Vincent and the Grenadines and Barbados all of whom, according to the UN’s provisional speakers list, will be represented by their Prime Ministers will address the General Assembly long before our hapless Foreign Minister. Jamaica’s Prime Minister Andrew Holness will, for example, address the UNGA on Thursday 27th September. Dr Rowley’s non-attendance comes in spite of assurances given by CARICOM leaders, in their official communiqué at the 39th Meeting of CARICOM Heads in July this year in Jamaica, that they would commit to attend the High Level Meeting on Non Communicable Diseases (NCDs) scheduled for Thursday 27th at the UN. 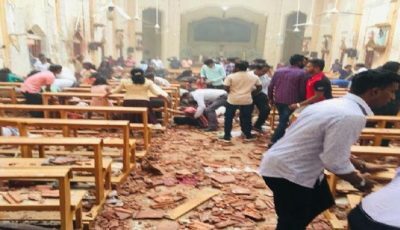 NCDs are the major causes of deaths in the region. 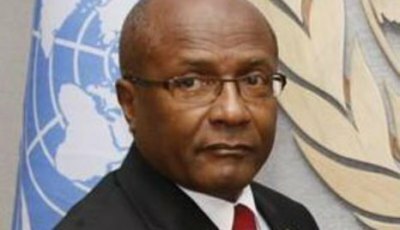 CARICOM, and Trinidad and Tobago in particular, has been at the forefront of advocacy for NCDs to receive global attention at the UN and other global bodies for increased research, additional development funding, reduced prices for medicines and dissemination of information on NCD disease prevention. Dr Rowley, if he attended the UNGA, could also have pledged T&T’s total support for the International Criminal Court (ICC) now under threat at the UN. It was T&T, and former president ANR Robinson in particular, who were among the first to put forward the idea of the ICC and successfully advocate for its establishment. The ICC is a TT creation. Former President Anthony Carmona is among three distinguished nationals who served as judges of the ICC. Our own Justice Geoffrey Henderson sits as a judge of the court until 2021. PM Rowley could have lobbied face to face with world leaders for increased assistance to help us on our war on crime, in our efforts to diversify our economy and even with Guyanese leadership to get a better sense informally of how we can advance our mutual interests. 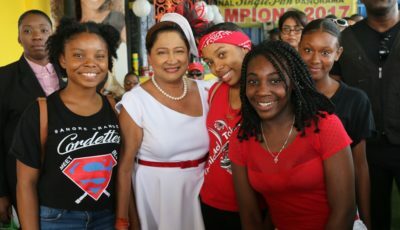 Former Prime Minister Kamla Persad Bissessar attended every UNGA in pursuit of, for example, placing NCDs which account for over 60% of our deaths on the UN’s development agenda. She was a respected advocate for the Arms Trade Treaty, the war on global terrorism and increased women participation in politics. Since Dr Rowley has chosen to remain at home maybe he will find time to belatedly release the OAS report which investigated our diplomatic faux pas at the OAS in which our country refused to support Dominica’s request for a waiver of fees in the light of a hurricane disaster which almost destroyed that country.